How Much Does a Bankruptcy Filing Cost? When you are struggling to make ends meet and you are hoping to obtain debt relief, you are probably concerned with how much filing a Chapter 7 or Chapter 13 case will cost you. Financial struggles can be nerve-wracking and trying to come up with money to pay an attorney can feel overwhelming. If this is your situation, it is important to retain the right attorney. An experienced bankruptcy attorney can not only help you save money, but also prevent you from losing your most valuable assets. You may be tempted to retain the “cheapest” lawyer out there, but you don’t want to put your future in the hands of a lawyer that does not have bankruptcy experience or that you cannot rely on. Thus, it is imperative that you research the attorney to ensure that he or she is knowledgeable in the area of bankruptcy and has a solid reputation for helping people in your situation. You may also think you can save money by working with a bankruptcy petition preparer instead of an attorney. As the name suggests, a bankruptcy petition preparer helps you prepare your paperwork needed to file your case. However, he or she cannot give you legal advice or represent you during your case. This means that if any problems occur in your filing, you don’t have anyone there to help you. Start setting aside small amounts of money as soon as you think it is likely you will seek bankruptcy protection. 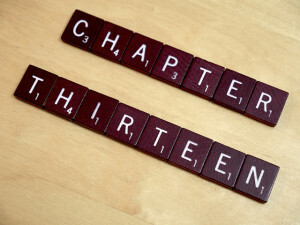 Planning ahead is the best way to prepare yourself for filing a Chapter 7 or Chapter 13 case. Seek help from your friends and family. It is essential that they understand the money is a gift because the amount they give you will be discharged in your bankruptcy filing. If you want, you can repay the amount after your bankruptcy case is over. It is generally a bad idea to borrow from your retirement savings to pay for a bankruptcy case. A loan from your 401k can have negative tax consequences and your retirement funds are exempt in your bankruptcy. Discuss a payment plan with your bankruptcy lawyer. This entry was posted in Bankruptcy and tagged bankruptcy, Chapter 13, Chapter 7, cost, filing on May 22, 2015 by Michael Faro.